We deal with Pneumatic Nailing Systems and various Sizes of collated Nails for these Machines. Application: Sofas, chairs, carom boards etc. Enriched by our vast industrial experience in this business, we are involved in offering an enormous quality range of Pneumatic Coil Nailer. 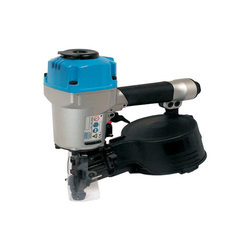 10" x 2-1/2" x 9-5/8"
Wide range of BeA Pneumatic Nailer for Wooden Packaging Industries. 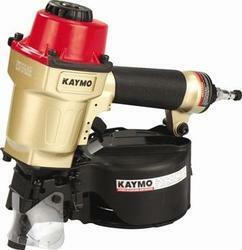 We offer a wide range of Pneumatic Nailers, which is high performing and superior in quality. These nailers are used for marking straight lines. Designed with chalk-filled canister, hooked at one end of the intended cut line, this tool features a tensioned and snapped line. The pneumatic coil nailers provide by us are made from high quality of raw material which ensure durability at its user end.